A short term cat and house sit near the Toronto, Ontario Canada area is desired. I have my own car and would take special loving care of your kitty. I was fortunate to be able to retire in my mid fifties five years ago. I have had a beloved golden retiever and a number of cats. I would like to explore a quiet community that may have access to a small city. I also can care for houseplants and can do some light gardening. I enjoy the company of furry friends and meeting new people. I would like my home and pet owners to feel that their homesteads are safe and happy. Exploring new places would be exciting for me. I am new to Trusted Housesitters, but have loved and cared for my own golden retriever and numerous cats who have all since passed away. I also care for my friends' dogs, cats and property while they are away. I also love growing houseplants and would enjoy looking after them as well. 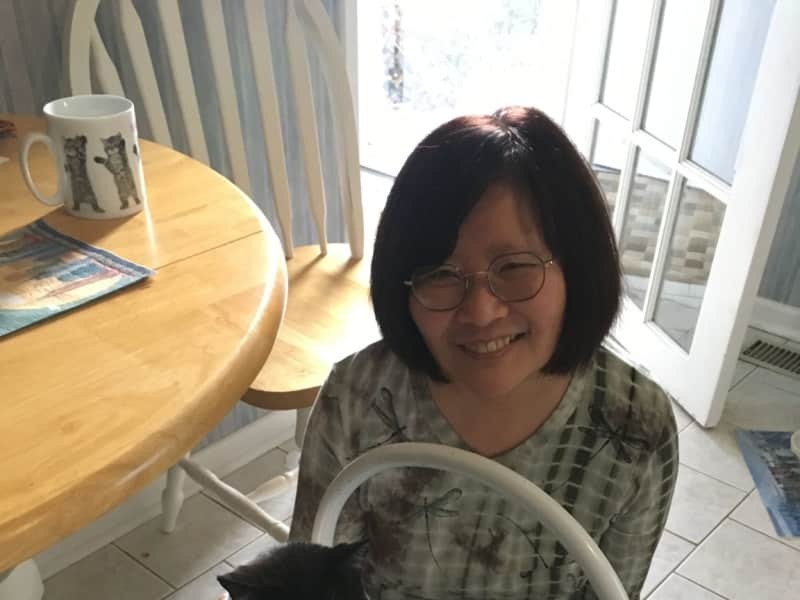 I have known Karen for over 25 years and she's one of the kindest, happiest, reliable and considerate people I know and she has been our cat sitter many times when my husband and I would vacation in Florida for 2 weeks at a time in spring and fall. She always wrote a daily journal on how our pet was doing - either relaxing or being active; and Karen would take pictures of her so I wouldn't feel so bad being away from her. Our pet cat, Maggie, loved having Karen come in to look after and spend time with her. I am so grateful to her for being such a wonderful pet caregiver and I highly recommend Karen to anyone who needs a someone as special as she is to take care of their pet when away.